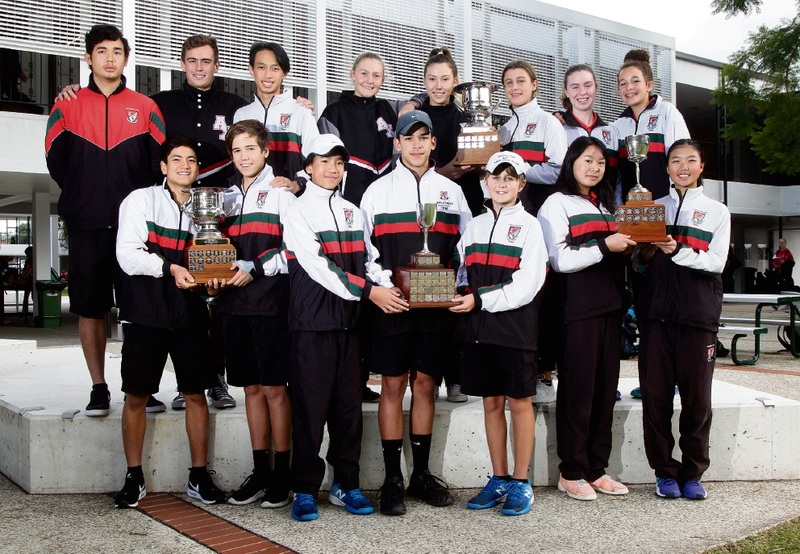 THE specialist tennis program at Applecross Senior High School has kept alive a near 20-year winning streak, claiming both the boys and girls titles at the Herbert Edwards (Year 7-9) and Slazenger (Year 10-12) cups for 2016. Since 1998, Applecross SHS has always won at least one of the tournaments, which are the biggest tennis participation events in Western Australia and pit teams from both public and private schools against each other. This year, Applecross SHS drove home its dominance by finishing first and second in both the boys and girls Herbert Edwards Cup and the girls Slazenger Cup. In the boys’ Slazenger Cup, Applecross SHS defeated Wesley College 4-1 in the final. The winning teams received their Tennis West trophies and specialist tennis program co-ordinator Lee Jarvinen said he could not be prouder of their effort. “It’s great that the kids have continued the tradition that we’ve built up over the past two decades and what was most pleasing about it was the sportsmanship and professionalism on display from the students,” Jarvinen said. Teams from Applecross SHS will now represent Western Australia at the School Sport Australian National Championships to be held in November, with the girls hoping to go one better than their runner-up finish last year and the boys looking to climb up from their previous sixth placing. The Slazenger Cup boys winners were Stevan Ilic (17), Nicholas De Lima (18), Kaey-Den Tan (17), Tyler Mizuhata (16) and Reuben Giorgio (15). Slazenger Cup girls winners were Madeleaine Muller-Hughes (17), Lara Vugasinovich (17) and Tara Gilich (15). Herbert Edwards Cup winners for the boys were Kendrick Chia (13), Milos Stanojlovic (13) and Matthew Burton (13). Herbert Edwards Cup winners for the girls were Talia Gibson (13), Shanelle Iaconi (13), Xinyi Zheng (14) and Casey Tay (14).